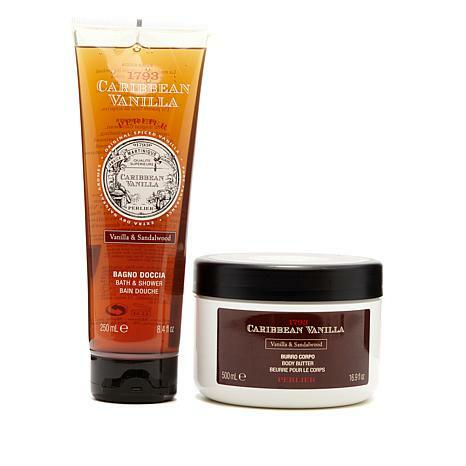 This kit includes a Vanilla & Sandalwood shower gel and body butter. Apply Bath & Shower to wet skin in bath or shower, rinse thoroughly. Apply Body Butter to legs, hands, feet, heels, elbows or any area that needs extra hydration and care due to super dry skin. Massage in until completely absorbed. Use once or twice a day or whenever needed. Ingredients: AQUA (WATER), GLYCERIN, ETHYLHEXYL PALMITATE, OLUS OIL (VEGETABLE OIL), STEARYL ALCOHOL, BUTYROSPERMUM PARKII BUTTER (BUTYROSPERMUM PARKII (SHEA) BUTTER), ELAEIS GUINEENSIS OIL (ELAEIS GUINEENSIS (PALM) OIL), CETYL ALCOHOL, PARFUM (FRAGRANCE), SODIUM CETEARYL SULFATE, CYCLOPENTASILOXANE, PEG-150 DISTEARATE, SODIUM POLYACRYLATE, GLYCERYL STEARATE, MANGIFERA INDICA SEED BUTTER (MANGIFERA INDICA (MANGO) SEED BUTTER), PEG-90 STEARATE, SANTALUM ALBUM EXTRACT (SANTALUM ALBUM (SANDALWOOD) WOOD EXTRACT), VANILLA PLANIFOLIA FRUIT EXTRACT, DIMETHICONOL, PHENOXYETHANOL, BENZYL ALCOHOL, TETRASODIUM EDTA, LECITHIN, CITRIC ACID, TOCOPHEROL, ASCORBYL PALMITATE, COUMARIN, EUGENOL, LINALOOL, CINNAMAL. Ingredients: AQUA (WATER), SODIUM LAURETH SULFATE, SODIUM CHLORIDE, COCAMIDOPROPYL BETAINE, GLYCERIN, PARFUM (FRAGRANCE), SANTALUM ALBUM EXTRACT (SANTALUM ALBUM (SANDALWOOD) WOOD EXTRACT), VANILLA PLANIFOLIA FRUIT EXTRACT, SODIUM BENZOATE, CITRIC ACID, TETRASODIUM EDTA, COUMARIN, EUGENOL, LINALOOL, CARAMEL, CI 16035 (RED 40), CI 17200 (RED 33). I like to wear earthy sents and this is a great one. Not overpowering, just perfect. The body cream is not sticky and the body wash leaves a nice scent. I am glad I decided to try them. I love the scent. It does not smell of vanilla, which is ok with me. I wanted it for the smell of the sandlewood. It also smells of clove. The body butter makes your skin really soft. I only tried the bath gel once so far and it smells great too. Here's another warm and earthy scent from Perlier. Yum!!! 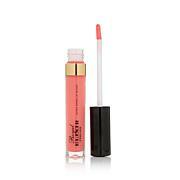 Very long-lasting. I am a lover of Perlier, I have used it for over 20 years. I love Golden Almond and White Honey. However this has become a new favorite. I find this one is very good for me at night, I have trouble sleeping and for some reason this product seems to relaxes me enough that I can sleep so this is a new favorite for me...love love love!!!! I've used Perlier products for years, so I trust the quality and performance of their bath & body sets--but I wasn't prepared for such a perfect union of the two scents! It's wonderful! The body cream is perfect for my dry skin and, though it smelled strong at first, within a few minutes, it was the perfect subtle-yet-detectable, fragrance. I've gotten more compliments than I can count. This is another repeat order, so I think I've found my "signature scent"!